On the ground there doesn’t appear to be much difference between the three types of nitrogen. However, when using DroneDeploy, clear differences are seen. At the Syngenta Platform Site in Aldborough, Yorkshire, different approaches to black-grass management are being trialled. This includes comparisons of black-grass herbicide screens. 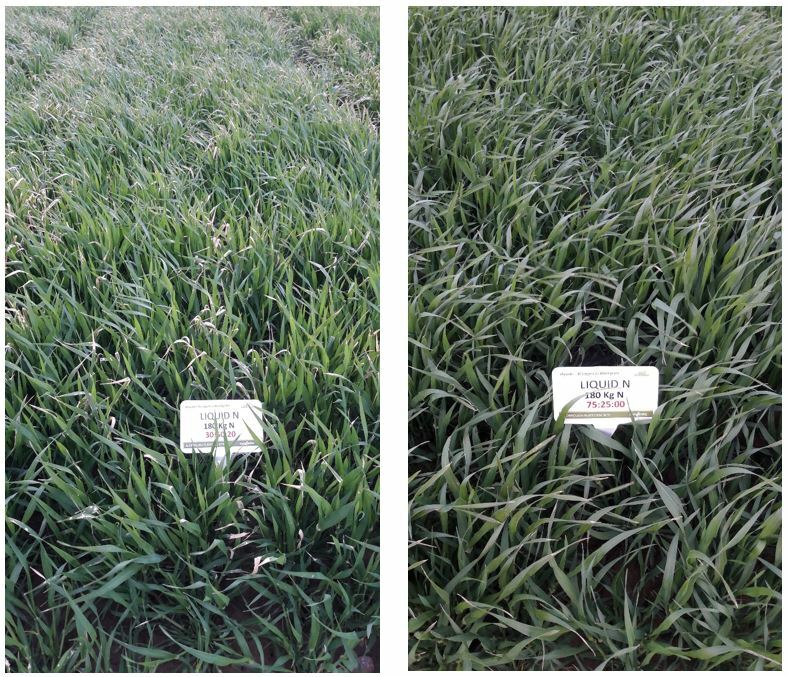 Three types of nitrogen application are being trialled across our hybrid barley plots; liquid (30.3% nitrogen), ammonium nitrate (34.5% nitrogen) and stabilised urea (46% nitrogen). These were applied in three amounts; 180 kg, 240 kg and 300 kg, and in two different splits; conventional 30:50:20 versus black-grass suppression 75:25:00. “On the ground there doesn’t appear to be much difference between the three types of nitrogen. However, when using DroneDeploy, clear differences are seen. The greenest plots are those with liquid nitrogen using a conventional application. The next healthiest is urea, with ammonium nitrate looking the least healthy. “As the first two applications were applied to wet ground in cold conditions, the nitrate in the ammonium nitrogen will probably have been lost to leaching. When planning your black-grass management, it is also important to include non-chemical control measures, which we have been trialling in Crockey Hill. Keep up to date with results from the Innovation Centre trials via twitter, Field News or InContact podcasts.